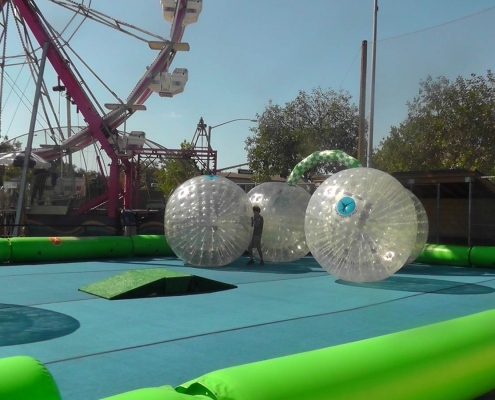 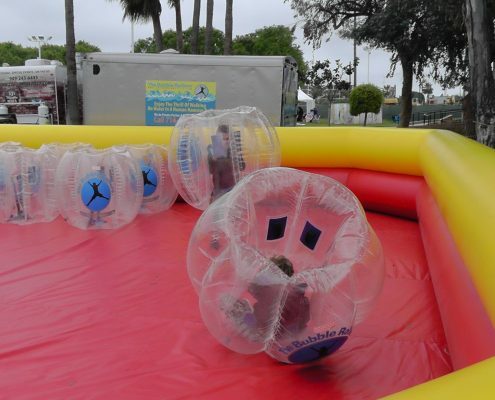 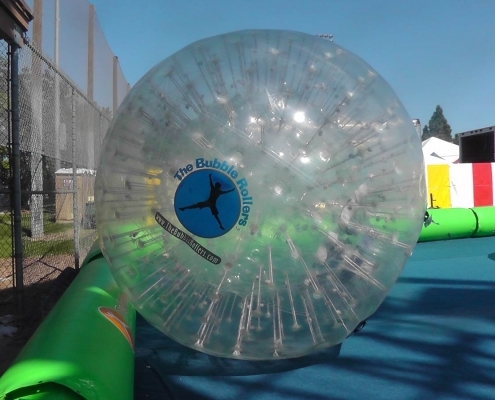 Our Bubble Bumper Soccer brings the excitement to any party, fundraiser, or event. 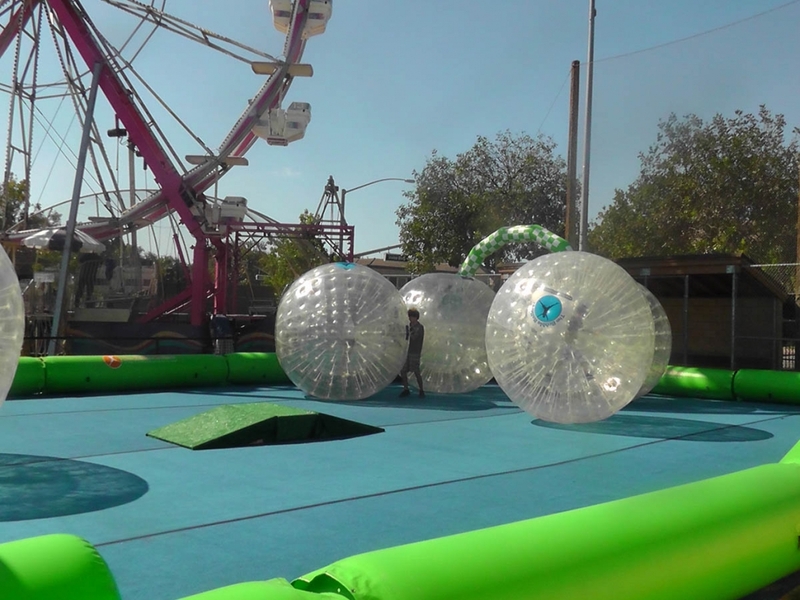 Day or night, indoor or outdoor, birthday or large carnival! 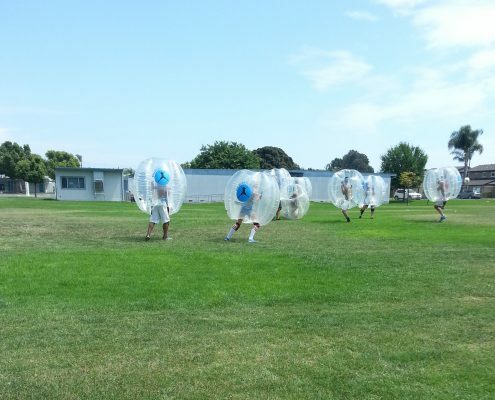 All of our party packges are fully customizable to fit any and all needs. 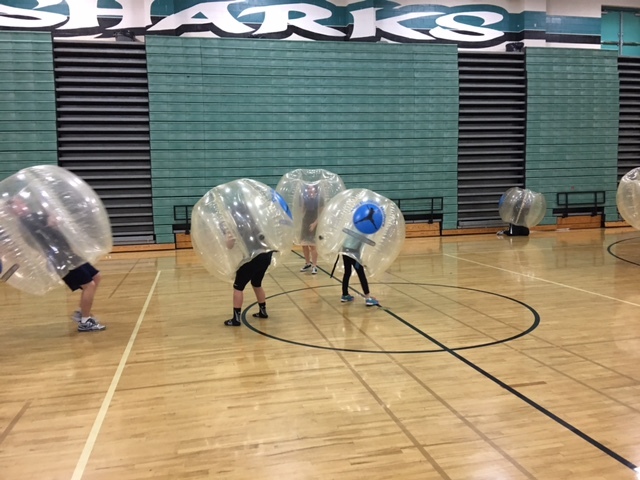 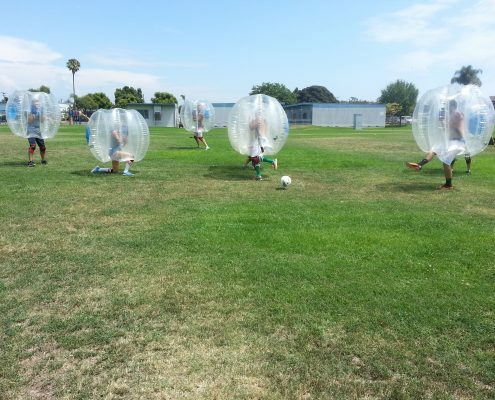 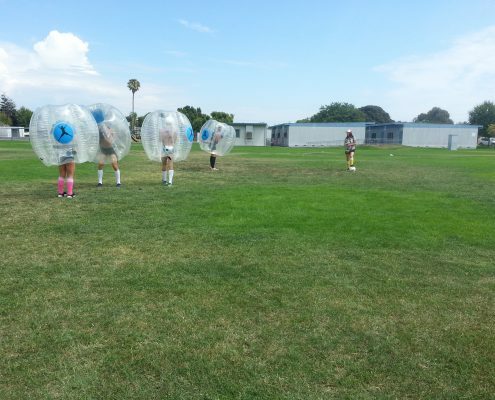 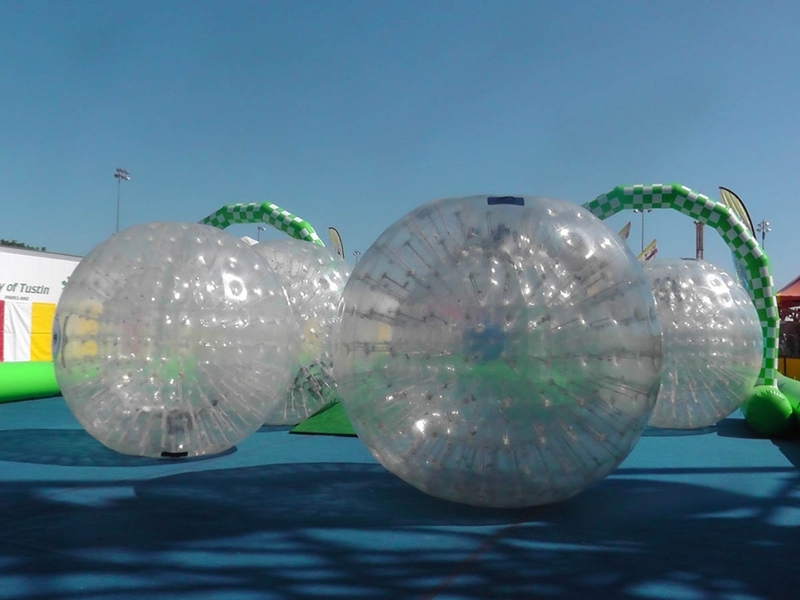 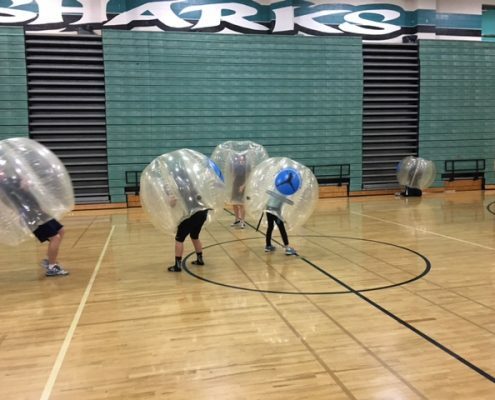 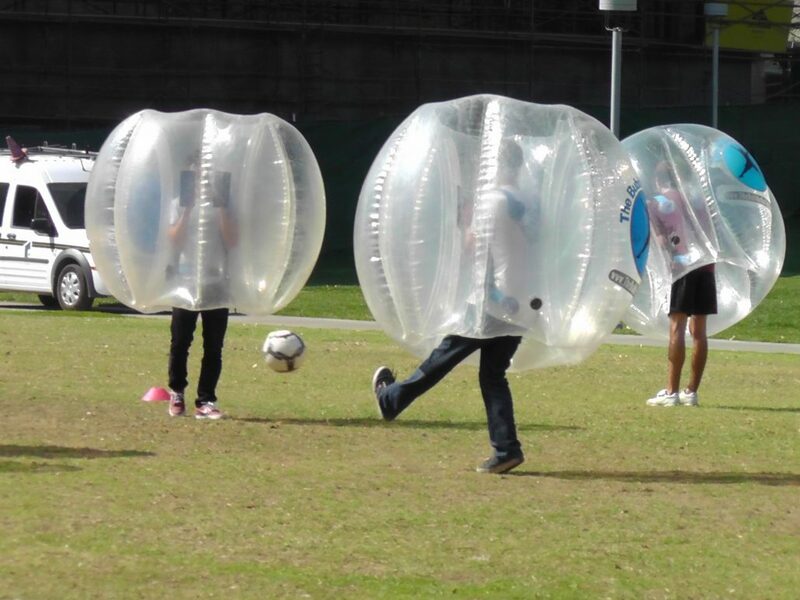 All of our packages include our state-of-the-art bubble bumper suits , all neccesary equipment including goals, cones, soccer balls and trained team members to construct a bubble bumper soccer field in your home’s backyard or local park and deliver you the best party experience possible guaranteed. 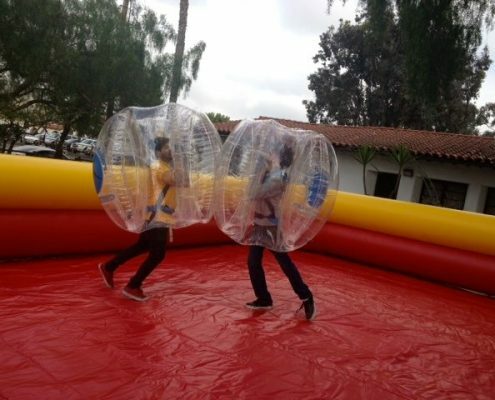 Ask about our Bubble Bumper Soccer League! 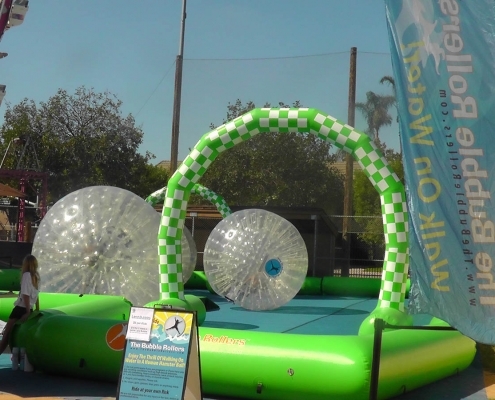 We are currently one of the best and fastest growing party companies in Southern California, from San Diego up to Santa Barbara and beyond! 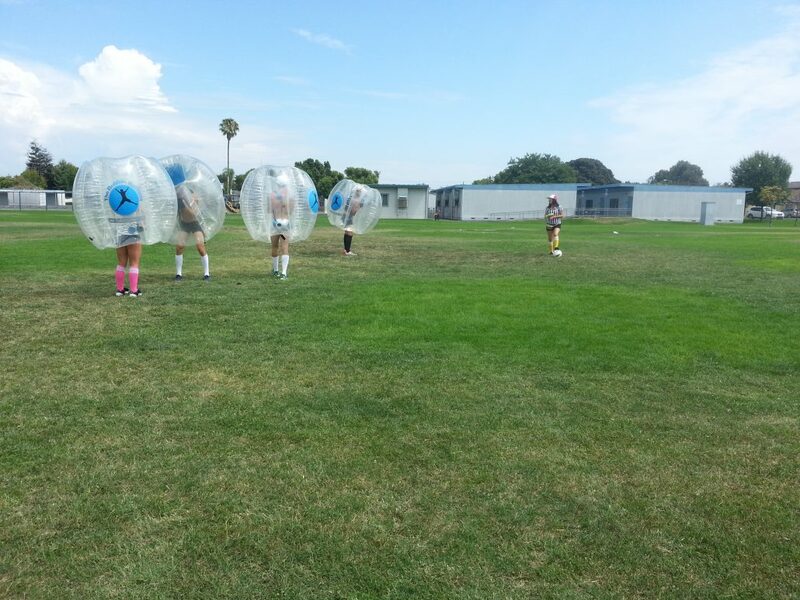 Bubble Bumper Soccer is a fun and healthy party activity for everyone to enjoy! 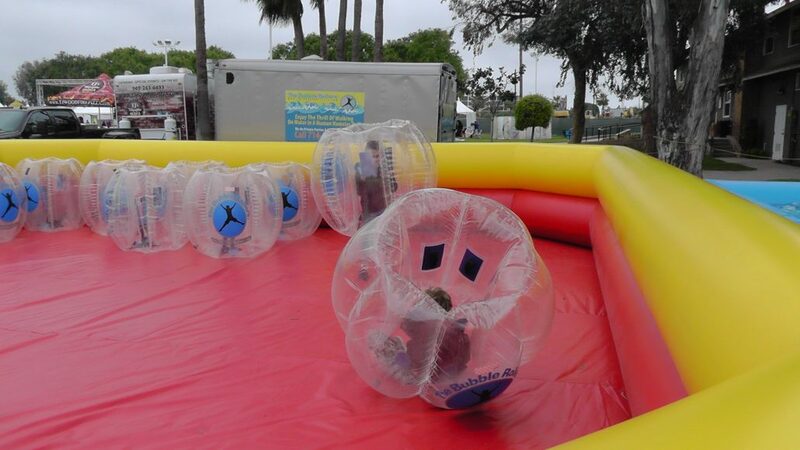 Comes in small and large sizes so its great for ALL ages! 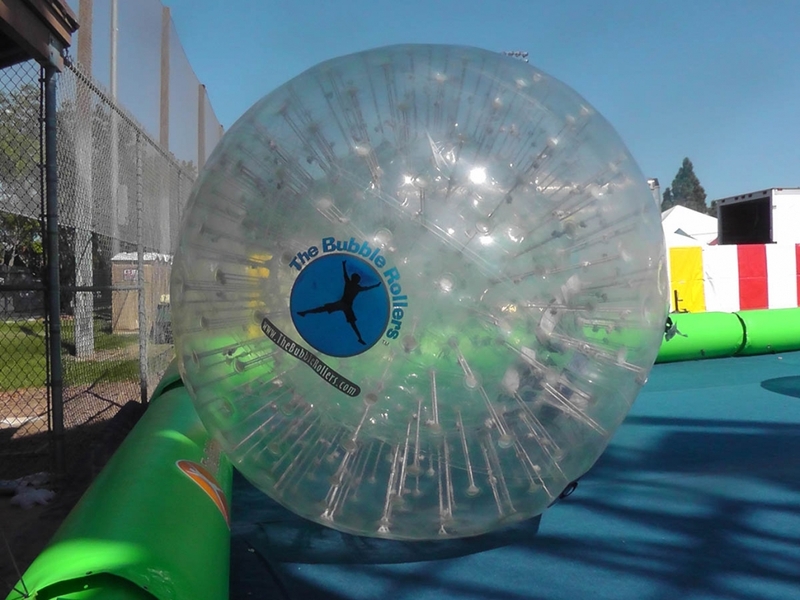 Our Land Bubble Rollers™ are great for large yards, parks, gyms, arenas and more! 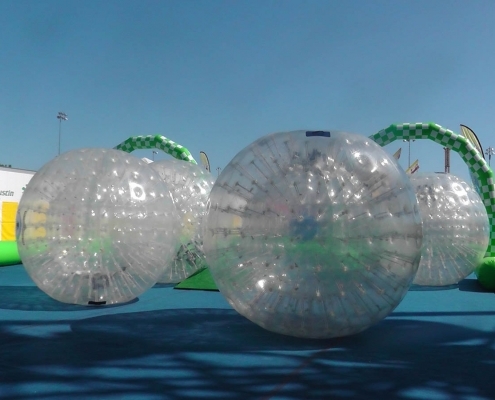 Available with or without an arena or race track.You can race your friends around the course or have a free-for-all match bumping into each other in the arena. 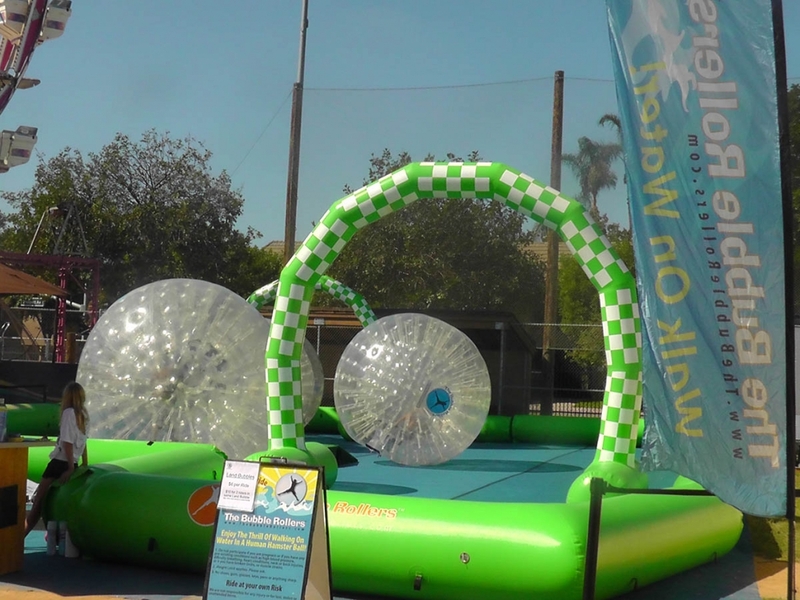 We are the only company to offer safety nets to allow patrons to participate by themselves safely. 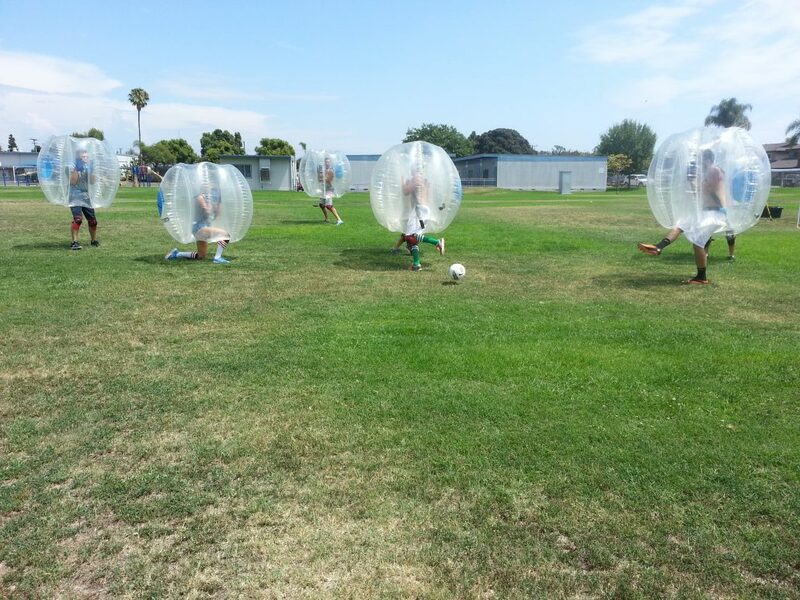 Approved activity for for California PTA. 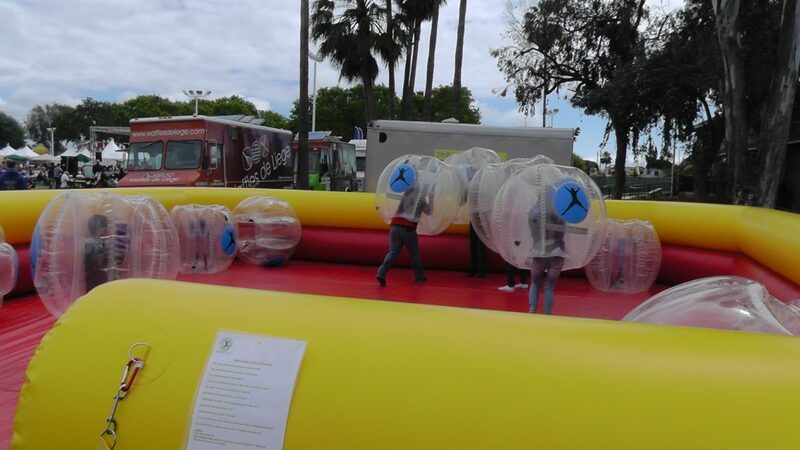 Standard package does not include arena but is fully customizable. 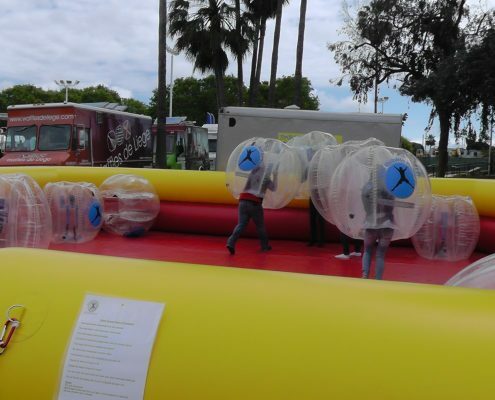 Arenas available: fully adjustable to meet your location needs. 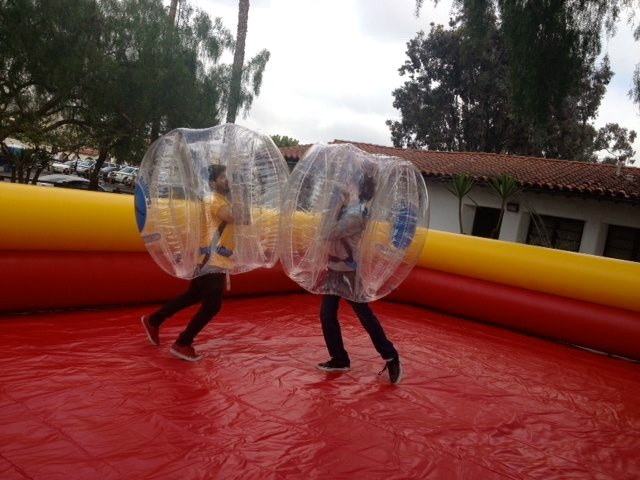 Crew arrive 2 hours prior to party time for setup. 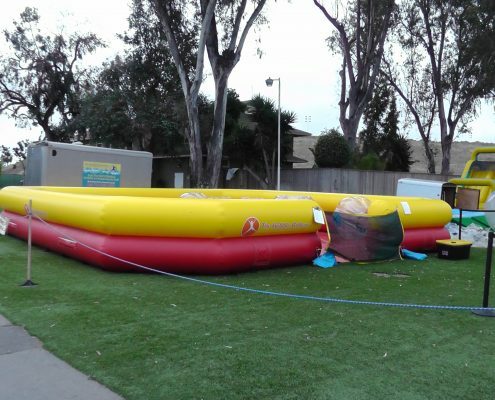 Need: Power source within 100ft of our operarional area; a large, flat, grassy area (no hills, area must be open/clear), 45’x65 space. 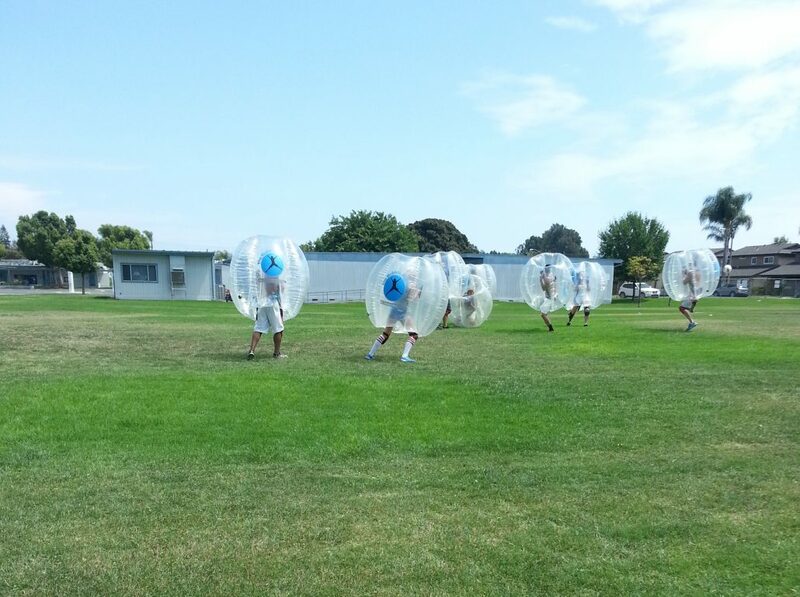 Crew arrive 45 minutes prior to party time for setup. 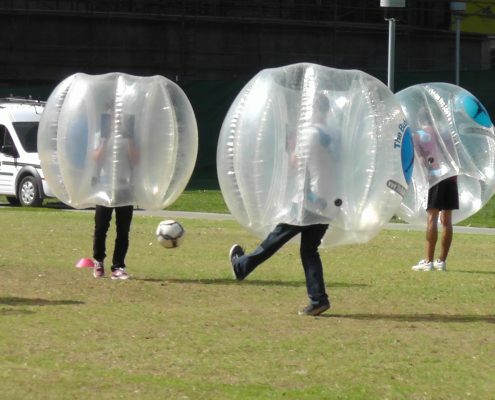 If children are less than 60lbs- 2 can ride in one bubble together. 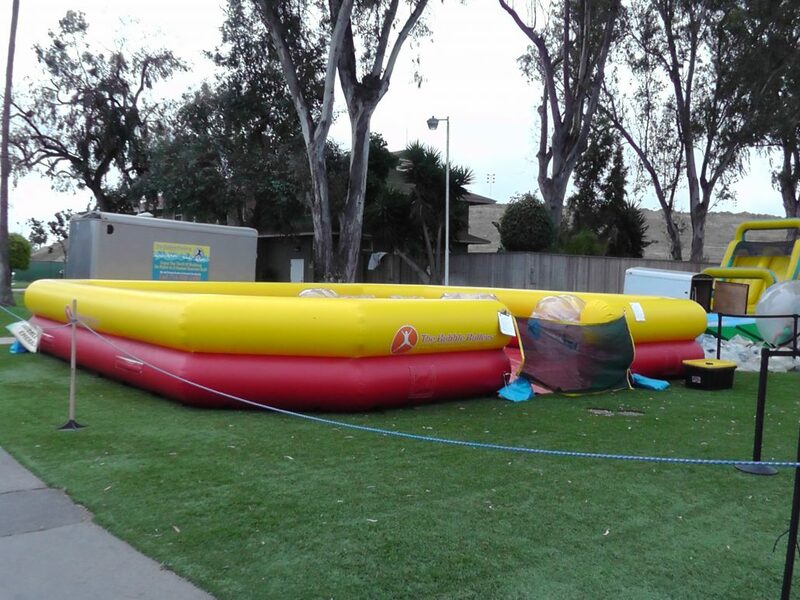 Need: Power source within 100ft of our operational area; a large, flat, grassy area (no hills, area must be open/clear), 45’x64′ space.